The physical, mental and emotional stress of the HSC can compromise even the most well organised student. 15–20 minutes of yoga a day guarantees to help combat this stress and improve mental clarity. Our program aims to give the students a simple sequences that they can implement at home, pre, during and post study. Hours sitting studying at a desk and computer can be arduous on young bodies, not to mention the stress associated with leaving certificate exams. This program is designed to deliver to young people the “tools” needed to combat fatigue, insecurity, bad posture and stress. The first 4 classes of the course is about personal practice for the student, learning the basic postures and becoming familiar with the method and techniques. Each student will be assessed on his or her range, alignment, co-ordination, stamina, endurance, strength and focus so that a series of personal practice sequences, specific to that student, can be designed. The next 4 class block continues with the personal practice, offering opportunity for correction and understanding and introducing new poses as the fundamental poses are mastered. In addition students are given a 15 minute “personal practice”, specific to a study break. Studying long hours for my final exams not only made my body sore but also made me terribly stressed, regardless of whether I was in a tense environment or not. Sessions with Tamar were the best way for me to relieve this physical and mental pressure. In fact, I came to realize that the only way to overcome my stress would be through specialized physical training. Yoga with Tamar gave me the tools to reach my full academic potential and achieve top exam scores which allowed me to attend an ivy league university. Thank you very much, Tamar! When I was fourteen, I took one year of private yoga classes with Tamar. Initially, I did so reluctantly, but because the physiotherapist believed it would help my back (and because my mom forced me to take them), I agreed to taking the classes. After just a few sessions however, I began to look forward to the classes. I felt energetic and I became much stronger and more flexible. Of course, the fact that I liked Tamar as a person, encouraged me to continue with the classes as well. I truly would recommend taking yoga classes with Tamar to anyone, regardless of whether they have a medical reason which requires treatment. My recurrent back problem drove me to yoga. And I could not have asked for a better introduction to the world of yoga! 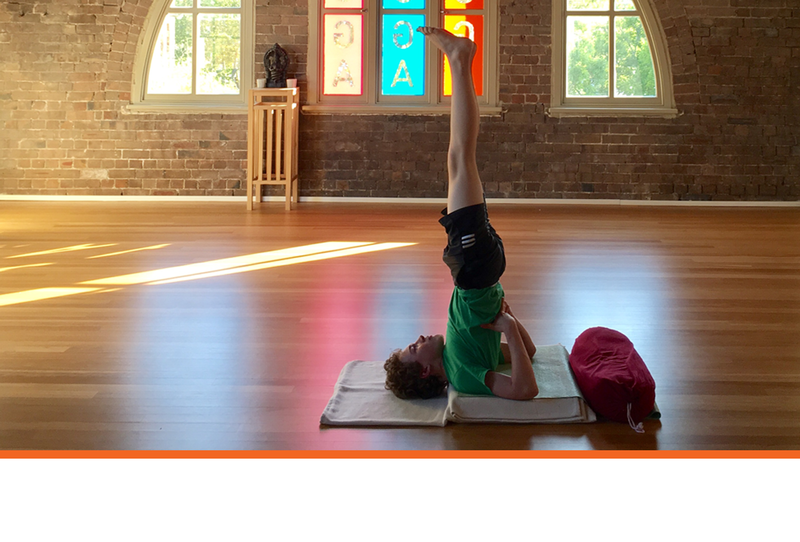 Tamar and Henryk are unique in understanding the true essence of yoga practice. Their holistic view, understanding, and embracing of the philosophy of yoga makes them very special. They not only teach the minute details of every pose, but also communicate its deeper meaning and its ultimate purpose for the body, mind, and soul. Their thorough understanding of the anatomy with all its medical implications ensures that the students feel safe in their hands. Furthermore, their inner beauty, authenticity, and complete dedication to their discipline inspires you at many levels. This unique combination of a scientific temper with strong human values is what builds a deep connection with their students. We also feel very grateful that our 14 year- old daughter was introduced to yoga by Tamar. Usually you can expect teenagers to make a face at the mention of yoga! Tamar was magically able to make it fun as well as beneficial to the teenagers. Our daughter would eagerly look forward to every single class with Tamar. And then diligently do her prescribed practice during vacations! Tamar has a special gift of connecting with youngsters. She inspires them to be mindful of their physical well being.